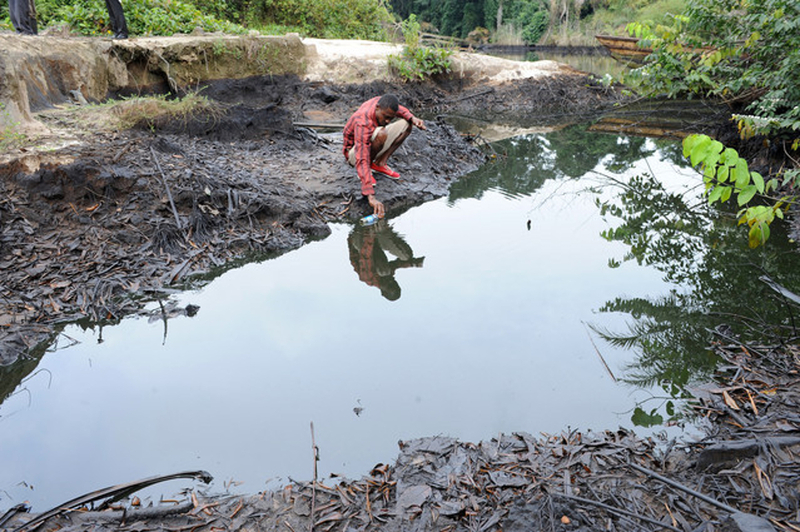 Nigeria, ABUJA — Court documents presented by Amnesty International (AI) have exposed the fact that Shell repeatedly made false claims about the size and impact of two major oil spills at Bodo in the Niger Delta, allegedly in an attempt to minimise its compensation payments. AI said in a report yesterday that evidence that Shell underestimated the Bodo spills emerged in a United Kingdom (UK) legal action brought by 15,000 people whose livelihoods were devastated by oil pollution in 2008. The court action has forced Shell to finally admit the company had underplayed the true magnitude of at least two spills and the extent of damage caused. According to AI, the documents also showed that Shell had known for years that its pipelines in the Niger Delta were old and faulty. “The potential repercussions are that hundreds of thousands of people may have been denied or underpaid compensation based on similar under estimates of other spills,” AI said in a statement made available to journalists. “Amnesty International firmly believes Shell knew the Bodo data were wrong. If it did not, it was scandalously negligent – we repeatedly gave them evidence showing they had dramatically underestimated the spills,” said Audrey Gaughran, Director for Global Issues at AI. She said Shell refused to engage with the organisation but had been forced to come clean while defending the case filed in the UK against it. 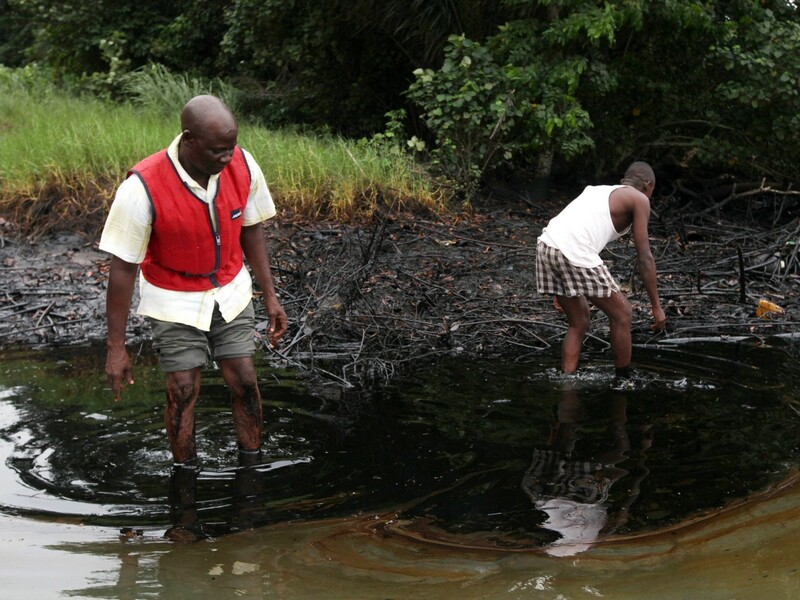 AI said Shell’s joint investigation report for the first oil spill in the Bodo area of the Niger Delta claimed that only 1,640 barrels of oil were spilled in total. “However, based on an independent assessment published by US firm Accufacts Inc., Amnesty International calculated the total amount of oil spilled exceeded 100,000 barrels. Shell denied this and repeatedly defended its far lower figure,” the statement said. In the court documents, Shell reportedly admitted its figure was wrong in both this case and a second spill, also in 2008, in the same area. 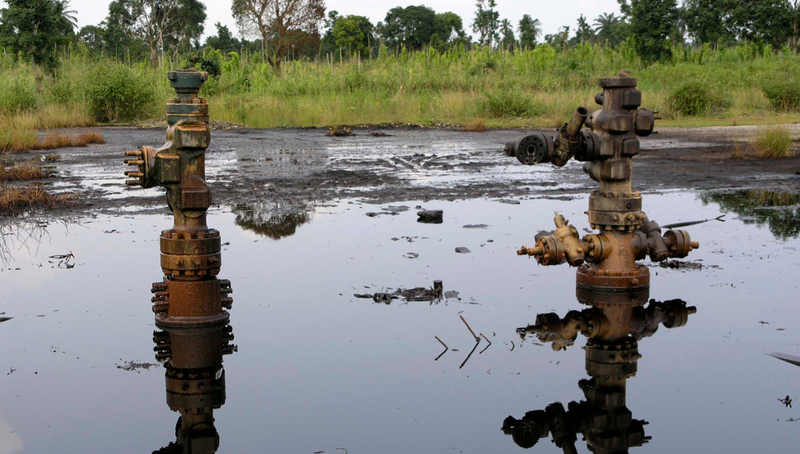 The admission, AI said, had thrown Shell’s assessment of hundreds of other Nigeria spills into doubt, as all spill investigations were conducted in the same manner. “For years, Shell has dictated the assessment of volume spilled and damage caused in spill investigation reports, now these reports aren’t worth the paper they’re written on,” said Gaughran. According to her, these spill investigation reports have cheated whole communities out of proper compensation. The reports, known as “Joint Investigation Visit”, decide whether a community got any compensation and the amount they received. They also determined the extent of the clean-up required. The people of Bodo have been able to take legal action in the UK, revealed AI. However, the vast majority of the hundreds of thousands of people in the Niger Delta who suffer oil spills from Shell’s operations will never have this opportunity to challenge the oil giant. “Pollution from Shell’s operations has wrecked people’s homes, farms and fishing waters – their ability to send their children to school and put food on the table,” said Gaughran. Amnesty said that Shell’s admission made clear the Joint Investigation Visit (JIV) forms – which recorded the cause of the spills in addition to the volume and impact – could not be used as credible sources of information. “Shell will no doubt continue to defend its abysmal record in Nigeria by more misdirection, blaming spills on oil thieves. But the basis for these claims are the Joint Investigation Visit forms – which Shell must now admit are entirely unreliable,” said Gaughran. The court documents also showed for the first time that Shell knew for years that its oil pipelines were in very poor condition and likely to leak. The court papers include an internal memo by Shell based on a 2002 study that states: “The remaining life of most of the [Shell] Oil Trunklines is more or less non-existent or short, while some sections contain major risk and hazard”. In another internal document dated 10 December 2009, a Shell employee warns: “(The company) is corporately exposed as the pipelines in Ogoniland have not been maintained properly or integrity assessed for over 15 years”. “It’s outrageous that Shell has continued to blame the vast majority of its spills on saboteurs while knowing full well how bad a state its pipelines were in,” said Gaughran. Shell had consistently maintained that for the first Bodo spill, only 1,640 barrels of oil were spilled and for the second, only 2,503 (approx. 4,000 barrels for both). This is based on what was recorded in the Joint Investigation Visit reports. But AI repeatedly challenged Shell’s figures and supplied the company with photographic, satellite and video evidence showing that the data on the JIV reports for Bodo were incorrect. Shell, however, continued to defend its figures. For example in a letter to the UK Financial Times in March 2012, the Managing Director of Shell Nigeria “admitted liability for two spills of about 4,000 barrels in total, caused by operational failures”. Responding specifically to evidence published by AI in 2012, which showed the first Bodo spill was underestimated, Shell told the UK Guardian newspaper: “[The JIV] process … was employed with the two spills in question, and we stand by the findings [of 1,640 barrels].” AI has been very active in investigating human rights violations in the Niger Delta. It had in a report found that hundreds of oil spills occur in Nigeria every year, causing significant harm to the environment, destroying local livelihoods and placing human health at serious risk. These spills are caused by corrosion, poor maintenance of oil infrastructure, equipment failure, sabotage and theft of oil. 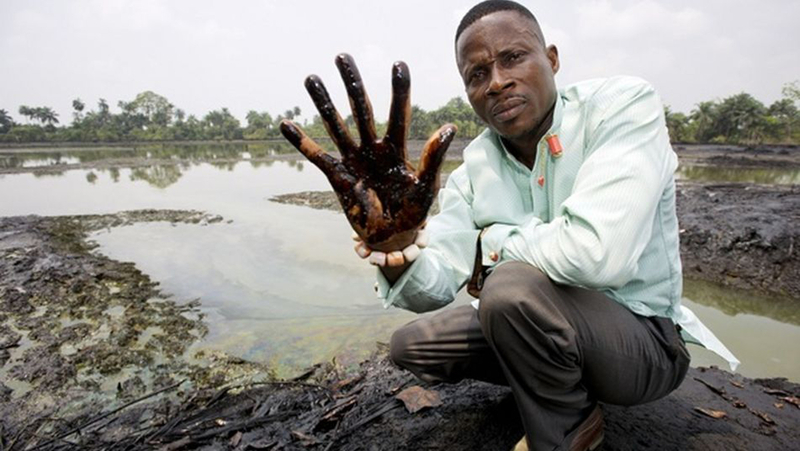 For the last decade oil companies in Nigeria – in particular Shell – have defended the scale of pollution by claiming that the vast majority of oil spills are caused by sabotage and theft of oil. The AI’s report also exposed several serious deficiencies and abuses within the JIV process that rendered it wholly unreliable as a basis for making claims about the cause of oil spills, the volume of oil spilled or the area impacted. It presented evidence not only of serious and systemic flaws in the oil spill investigation process, but also specific examples of instances where the cause of an oil spill appears to have been wrongly attributed to sabotage. The evidence included a secretly filmed video of an oil spill investigation. In addition, the report exposed serious problems with how the volume of oil spilled was assessed and recorded and concluded that it was likely that the volume of oil recorded as spilt in many cases was incorrect. Shell shows no responsibility for the people in the Niger Delta region and the people of Africa and after that spill should be made to pay a hefty tax to the people of the region on every barrel of oil they collect. This the only way they will learn to respect the people, if their taxes increase each time they allow a disaster like this to happen. Companies like Shell have been known to pollute waters and underestimate the damage. The same thing happened with the BP oil spill in the US. It is up to our governments to keep these companies in check. But when government is in bed with big business, how can we expect to prevent these devastating incidents from occurring? Companies like Shell Have been known to pollute waters and underestimate the damage. The same thing happened with the BP oil spill in the US. It is up to our governments to keep these companies in check. But when government is in bed big business, how can we expect to prevent these devastating incidents from occurring? How can shell be so defiant??? Ha?